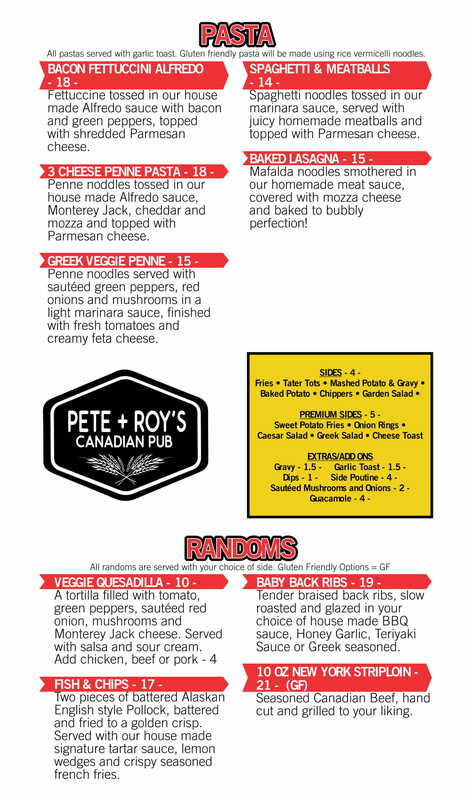 Our menu features many crowd favourites such as burgers, pizza, and pasta. 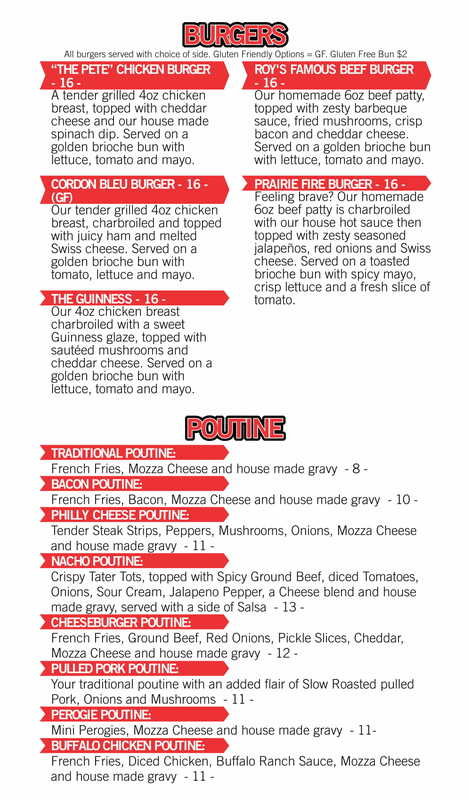 We are also proud to offer build your own poutine! 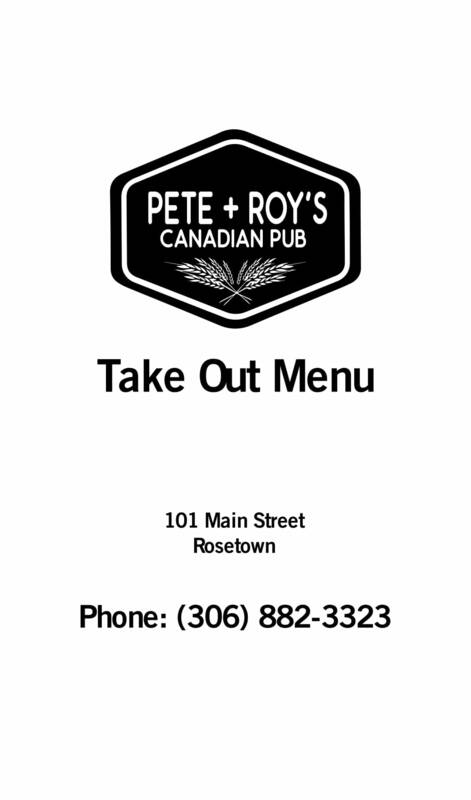 For delicious pub food and the service to match, visit Pete & Roy’s Canadian Pub in Rosetown today. 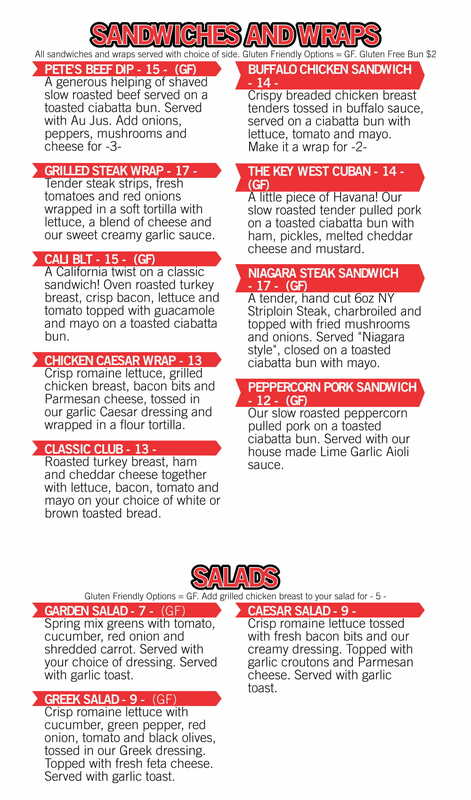 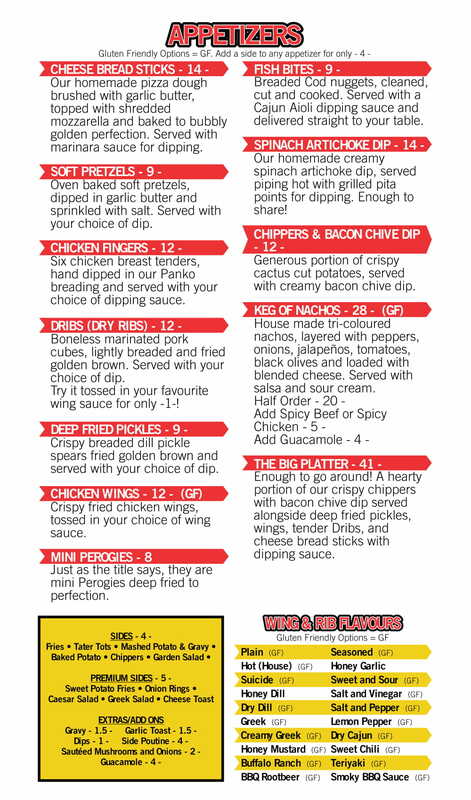 Browse through our extensive menu below!